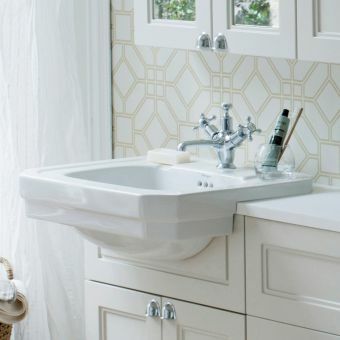 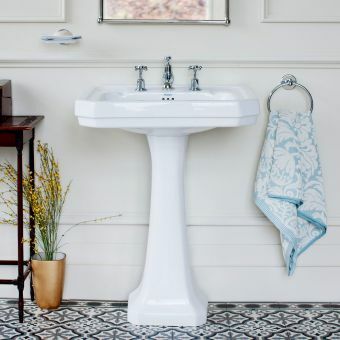 The Burlington Victorian basin range is traditional and authentic in style, with a soft octagonal facet and stepped outer form harking from design styles of the late 19th century. 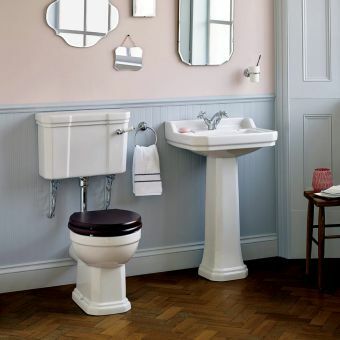 Every detail has been thought of right down to the overflow hole which a series of neat holes under the stylised branding, giving a genuine Victorian era feel. 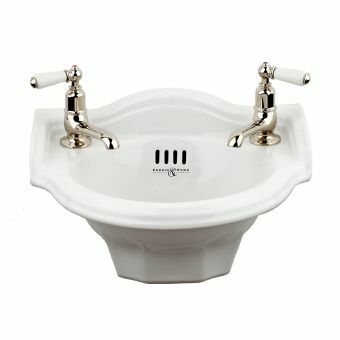 This coupled with the useful and attractive soap holder area to the left and right hand sides ensure the very design of the basin itself is ornate and decorative. 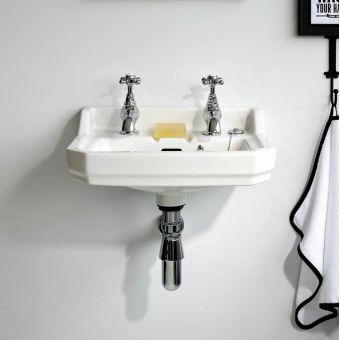 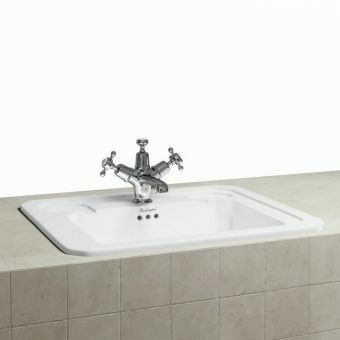 A choice of 1, 2 or 3 tap holes is available, you can pair this basin and washstand up to many combinations of different Burlington taps for the perfect finish. 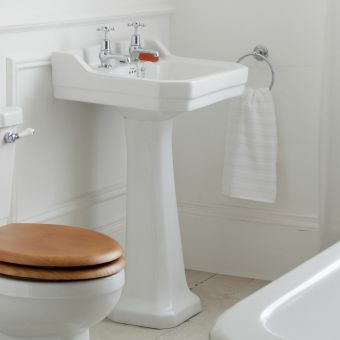 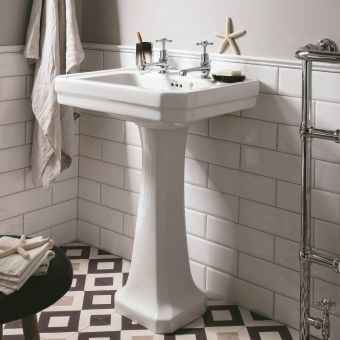 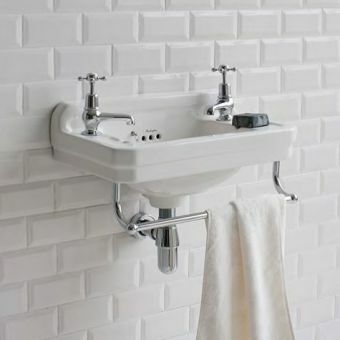 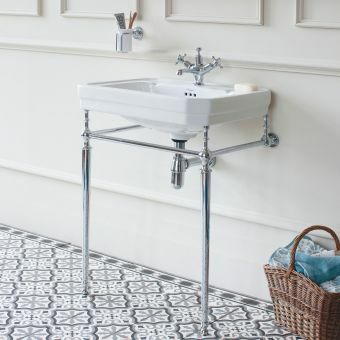 A basin waste will be required in addition, we recommend a plug and chain for period feature charm, and equally good looking is a more simple push waste like the W11. 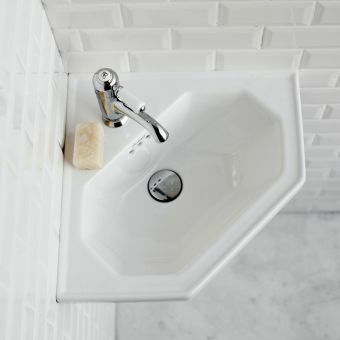 Some taps offer pop-up wastes in which case you would not need and additional waste. 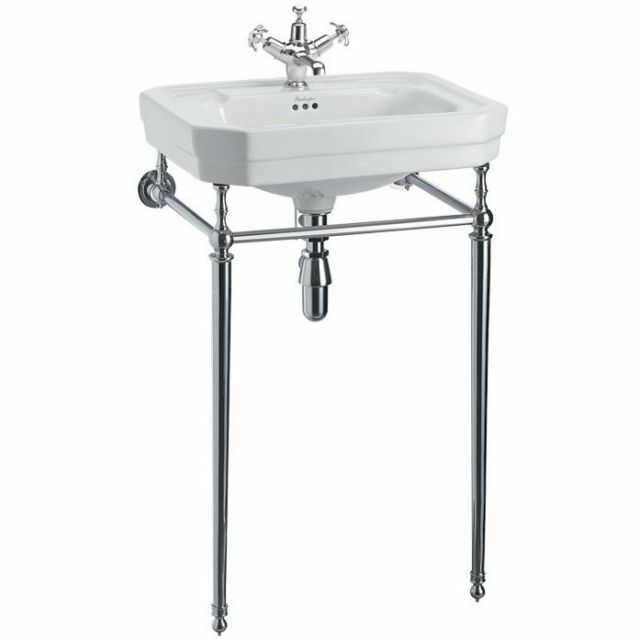 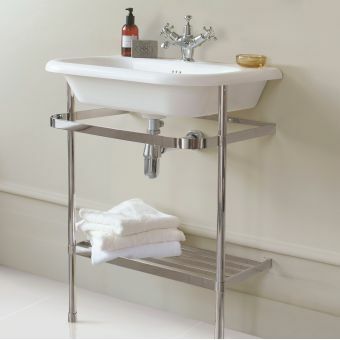 The washstand has tapering legs with decorative ball joint features, all finished in a gleaming chrome that is easy to clean.